September 2000-ish I think. 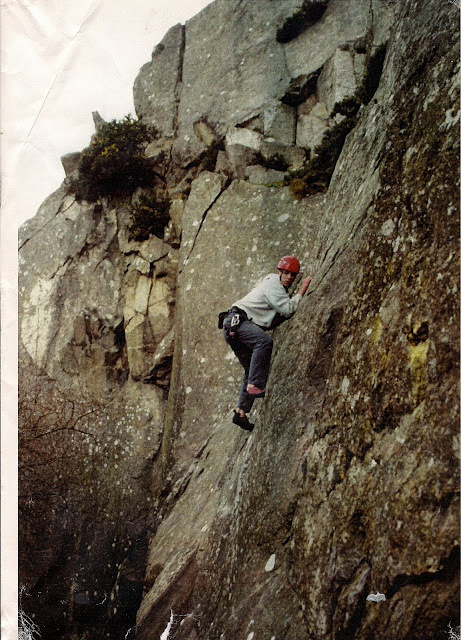 Dalkey Quarry. Spot the newbie-stuff: Soloing. Wearing a harness. And carrying a belay device.